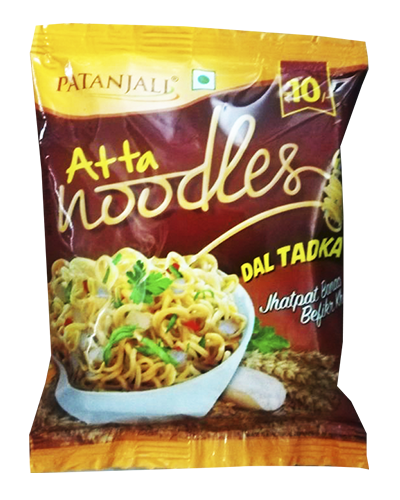 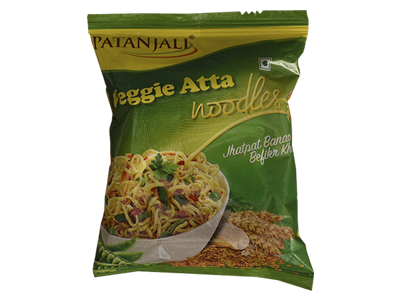 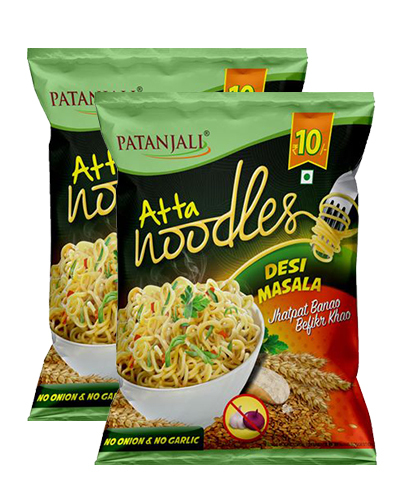 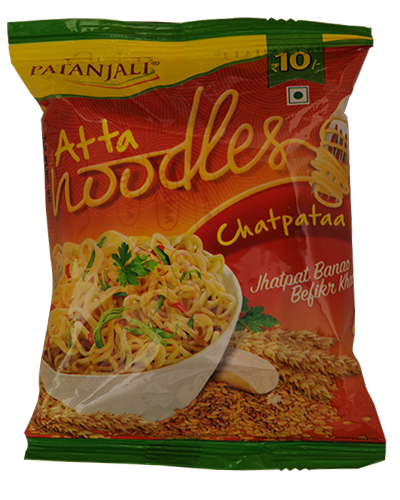 Patanjali Atta Noodles Veggie is a nutritious and delicious option to the chemically loaded noodles available in the market. 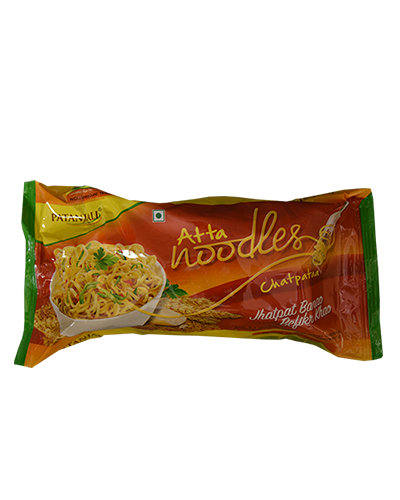 Full of the goodness of carrots, peas, beans and other vegetables, the noodles make for a healthy snack any time of the day. 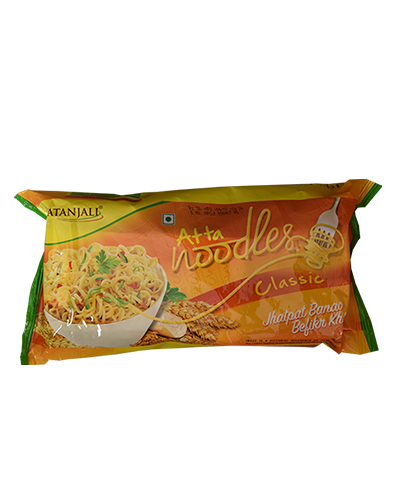 Bursting with spicey flavours of coriander powder, onion, garlic, turmeric powder, cumin, ginger, red chillies and cloves, the seasoning is enriched with healthy and aromatic vegetarian ingredients. 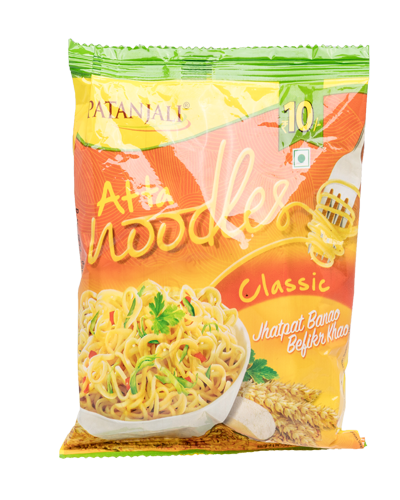 Make a pack and watch everyone come running to dig into the yummy flavours of Patanjali Atta Noodles Veggie. 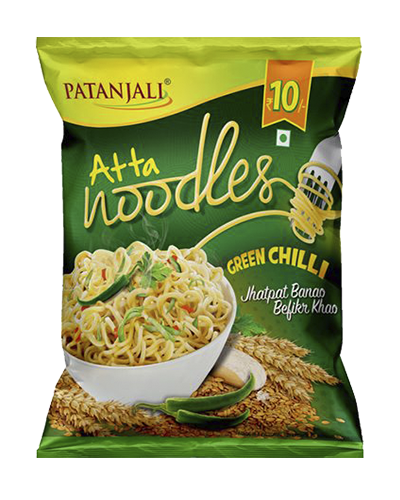 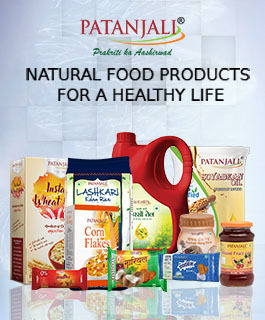 Note:Patanjali Atta Noodles Veggie carries no cholesterol and is made with all-natural ingredients.